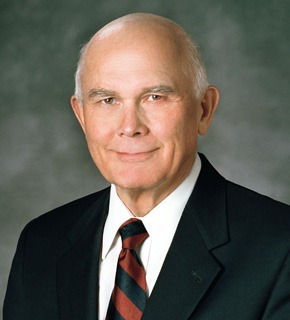 Words, talks, discourses, and quotes from the prophets and apostles of The Church of Jesus Christ of Latter-day Saints related to missionary work and mission preparation. “My brothers and sisters, I thank you for your faith and devotion to the gospel, for the love and care you show to one another, and for the service you provide in your wards and branches and stakes and districts. Thank you, as well, for your faithfulness in paying your tithes and offerings and for your generosity in contributing to the other funds of the Church. As of the end of the year 2010, there were 52,225 missionaries serving in 340 missions throughout the world. Missionary work is the lifeblood of the kingdom. 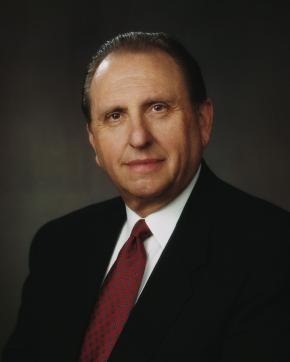 May I suggest that if you are able, you might consider making a contribution to the General Missionary Fund of the Church” (President Thomas S. Monson, It’s Conference Once Again, April 2011). What is the LDS Church Missionary Fund? Many years ago, even before my time on a mission, each missionary paid his or her own actual living expenses. So a mission to Japan, for example, would have been much more expensive than a mission to South America. 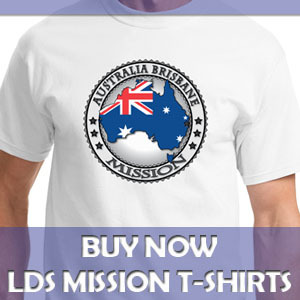 But in 1990, a new program was introduced to equalize the financial responsibility for each missionary by setting up the Church Missionary Fund. Now, all young missionaries pay a flat monthly rate into that fund, and each missionary is then allocated from that fund what he or she needs for the expenses in their particular mission. This approach has reduced the potential burden on individual missionaries and their families who may have been assigned to work in more expensive areas of the world. 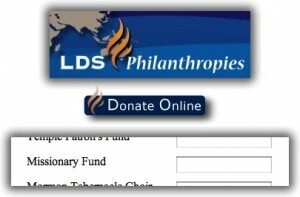 To donate to the LDS Church Missionary Fund, go to LDS Philanthropies, click on Donate Online, fill out the amount you want to give, and fill out other required information. 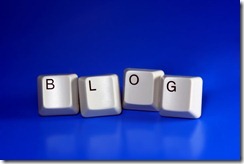 The website allows you to make payments through all major credit cards and PayPal. “This commandment is one of many that have been renewed because the gospel of Jesus Christ has been restored in its fulness. Missionaries serve now just as they did in New Testament times. The book of Acts describes early missionary labors of the Apostles and other disciples following the Lord’s mortal ministry. There we read of the remarkable conversion and baptism of Saul of Tarsus, who had previously been “breathing out threatenings and slaughter against the disciples of the Lord” and persecuting members of the fledgling Church. From such beginnings, Saul became the converted Paul, one of the Lord’s greatest missionaries. The final 15 chapters of the book of Acts report the missionary labors of Paul and his companions. “In a letter to one of his most trusted companions, Paul wrote to young Timothy, “Let no man despise thy youth; but be thou an example of the believers, in word, in conversation, in charity, in spirit, in faith, in purity.” That counsel is just as valid for us now as it was then. It applies to our full-time missionaries; it applies equally to each member of the Church. Whether full-time missionaries or members, we should all be good examples of the believers in Jesus Christ. “Like Timothy, most full-time missionaries are young men. Some are sisters; some are senior missionaries. We love each one! Missionaries serve to make life better for God’s children. Heavenly Father loves every one of His children. After all, He is their Father. He wants to bless them with His greatest gift, that of eternal life. Missionaries so teach wherever they serve. They help people to develop faith in the Lord, repent, be baptized, receive the Holy Ghost, receive the ordinances of the temple, and endure faithfully to the end. God’s work and glory—“to bring to pass the immortality and eternal life of man”—is also the sacred work and glory of each missionary. “At this morning’s session of general conference, our beloved President Thomas S. Monson made an impassioned plea for each young man of this Church to prepare for missionary service. I hope his entire message will be heeded in every home of the Church. 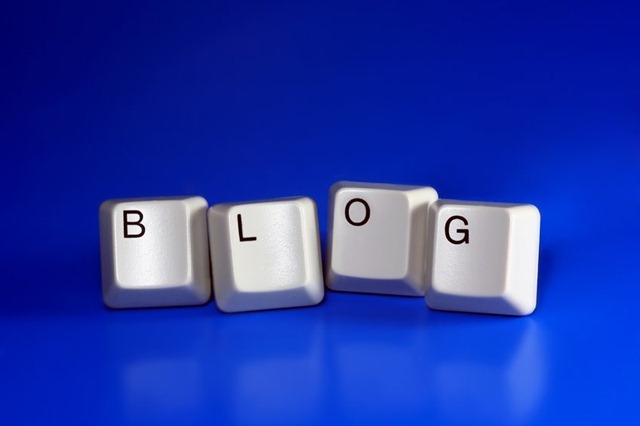 “May I mention a matter close to my heart and which deserves our serious attention. 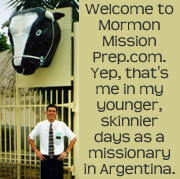 I speak of missionary work. “First, to young men of the Aaronic Priesthood and to you young men who are becoming elders: I repeat what prophets have long taught—that every worthy, able young man should prepare to serve a mission. Missionary service is a priesthood duty—an obligation the Lord expects of us who have been given so very much. Young men, I admonish you to prepare for service as a missionary. Keep yourselves clean and pure and worthy to represent the Lord. Maintain your health and strength. Study the scriptures. Where such is available, participate in seminary or institute. Familiarize yourself with the missionary handbook Preach My Gospel. “A word to you young sisters: while you do not have the same priesthood responsibility as do the young men to serve as full-time missionaries, you also make a valuable contribution as missionaries, and we welcome your service. “And now to you mature brothers and sisters: we need many, many more senior couples. To the faithful couples now serving or who have served in the past, we thank you for your faith and devotion to the gospel of Jesus Christ. You serve willingly and well and accomplish great good. 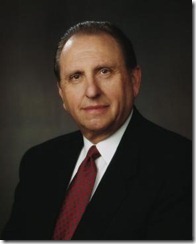 From October 2010 General Conference, Saturday Morning Session, As We Meet Together Again by President Thomas S. Monson. 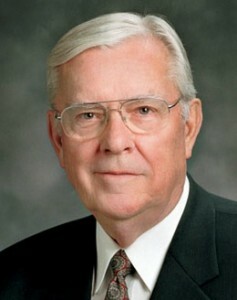 A couple of years ago, Elder M. Russell Ballard gave a landmark address called Sharing the Gospel Using the Internet. In the spirit of that address, I am announcing the launch of a new section of Mormon Mission Prep that I’m calling Mormon Share. In Mormon Share (under “Share” in the site top navigation), you will find tools to help you share the restored gospel of Jesus Christ on your Web site, Facebook, a blog or elsewhere. 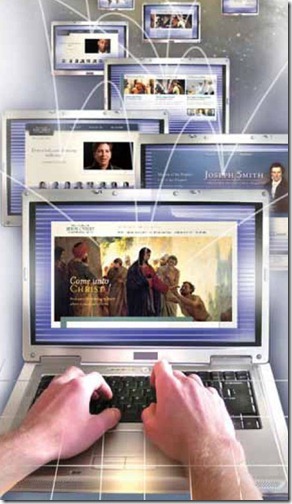 You will find widgets, badges, code, and other tools to help you quickly and easily begin sharing the gospel online. There is much there now, and in the future I’ll be adding even more. The following is a the text of a talk I gave in Church today. It’s not extremely mission prep related, except inasmuch as missionaries’ work is to help establish Zion. But hopefully you’ll still enjoy it. Like the people of the city of Enoch, we live in times of many “wars and bloodshed,” yet we can, like they, “flourish” by living “in righteousness.” Enoch saw in vision a view of the world after his city was taken up into Heaven. 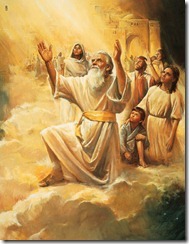 He saw that Satan “veiled the whole face of the earth with darkness” and that this wickedness caused the Lord to weep. The Lord explained that wickedness caused misery and doom, and that it saddened him to see the “workmanship” of his own hands make such poor choices. The Book of Mormon prophet Alma expressed this concept well when he told his son “wickedness never was happiness.” (Alma 41:10) Righteous living is an indispensible component for all people in a Zion society. 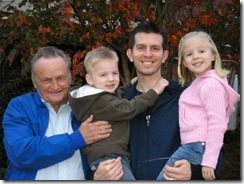 My father provided a great example to me of caring for the poor and needy. 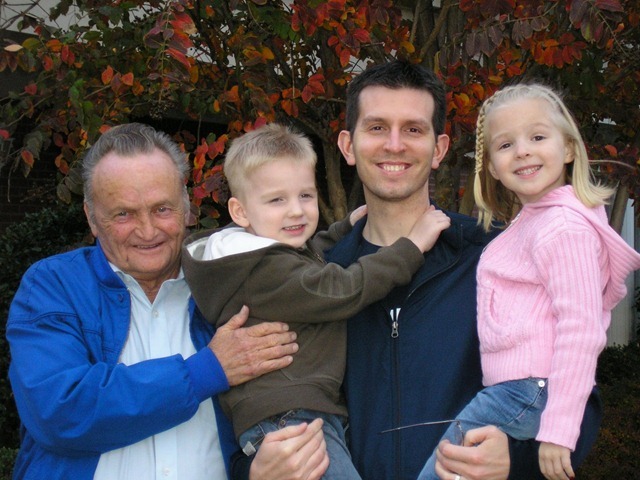 When I was a young teenager, I was my father’s home teaching companion. One of the families we visited on a regular basis were the Funderburks. Sister Funderburk was an older lady who lived in extremely impoverished conditions. She had no husband (not that lived with her anyway). Sister Funderburk always had a foster child living with her. I believe this was her only means of income, as the government would pay her a small stipend in return for housing and caring for a foster child. She lived in a very old trailer/mobile home, with plastic sheeting on many of the walls and windows and in general need of serious repairs. The plumbing in Sister Funderburk’s home was a frequent object of our attention as home teachers. My dad and I were no plumbers, but the plumbing needed attention, so we rolled up our sleeves and worked on it many times. I remember one winter, the mountains of northern Georgia got pretty cold and her pipes froze, leaving her without running water. We went, the following Saturday, and worked the entire day to insulate and bury the pipes in the ground. Sister Funderburk had no telephone, so my dad and I simply dropped in on her a couple times a month to make sure everything was ok. I remember one night we stopped by and found they had no food in their house. My dad immediate made a run to the grocery store, which was probably a ten to fifteen mile drive each way, since she lived out in the country, as did we. My dad bought milk, bread, and other essentials. 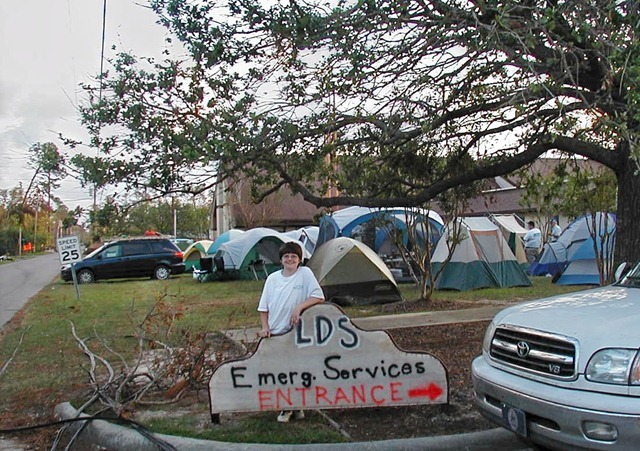 The Spirit had prompted him to stop by and ask if she had any needs, and it was at just the right time as Sister Funderburk was, no doubt, praying for help. Years later, when my wife and I were living in Memphis Tennessee, I met a member of the Church in similar impoverished circumstances. His name was James Walker. James was an older gentleman, perhaps 65 years old. The missionaries had recently baptized him. James lived alone, aside from the hand full of chickens he raised, which as far as I could tell was his only source of income. I had met James when he got baptized, but I really didn’t get to know him until our bishop asked me to work with James and teach him how to read and write. In working with James, as I did over the next couple of years, I was no doubt prepared by the great example of my father. While James was very poor in terms of material possessions, I never felt my purpose in working with him was to give him financial assistance as much as it was just to be his friend. I was aware of the many generous Church members who gave freely to help James, as did we from time to time. But James needed friends as much as anything. He needed people in his life who had love and confidence in him. Working with James in this literacy program allowed me to help and support him in all those ways. And though we live 2,000 miles apart now, James and I still talk on the phone from time to time. 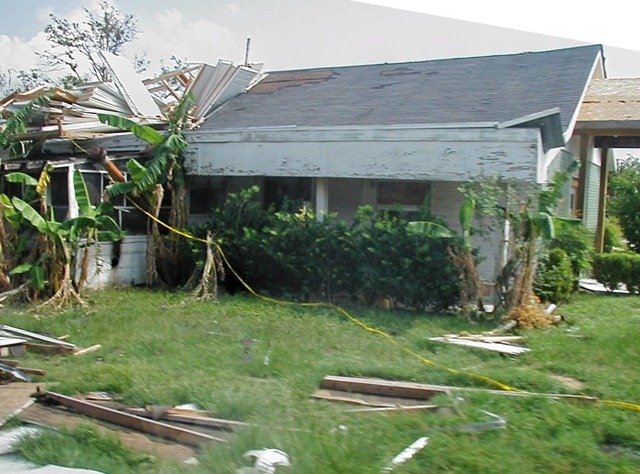 In the late summer of 2005, we were living in Memphis Tennessee, just 6 hours north of New Orleans, when Hurricane Katrina struck. 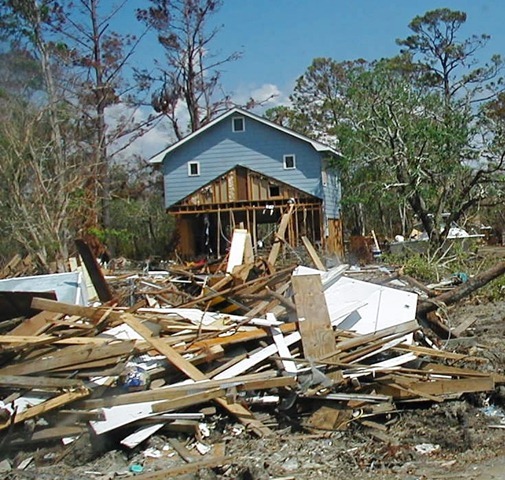 Within days, if not hours, our Church and many others organizations were on the ground helping those peoples whose lives and property had been destroyed. A couple of weeks after the storm, in Church one Sunday, we got a request like I’ve never had before or since as a Church member. They asked us, particularly the brethren, though a number of sisters went as well, to go to New Orleans to help with the relief efforts. They asked us to leave Friday afternoon, drive down to New Orleans, sleep in the Stake Center or its parking lot, work all day Saturday, then work half the day Sunday and then drive home Sunday evening. This schedule allowed us to put in a day and a half of labor and not miss any of our normal Monday through Friday jobs. For me this seemed like a once in a lifetime opportunity to help and I jumped at the chance. 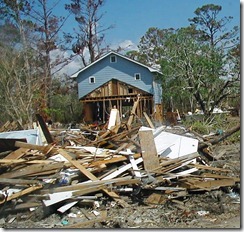 If you remember the photos and videos of the destruction of Hurricane Katrina, seeing it in person trumped it all. Photos and videos just can’t completely convey the horrible scene of destruction. Over the next months, I made three of these weekend trips down to New Orleans for relief, recovery, and rebuilding. 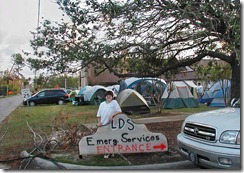 The brethren from our stake and many others were there every weekend for months and we helps thousands of people. 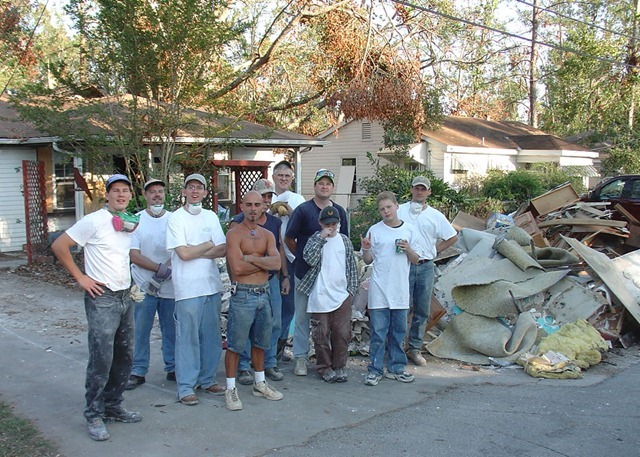 “Two of our Area Seventies, Brother John Anderson, who resides in Florida, and Brother Stanley Ellis, who lives in Texas, have directed much of this effort. But they would be the first to say that the credit belongs to the great numbers of men and boys who have given assistance. 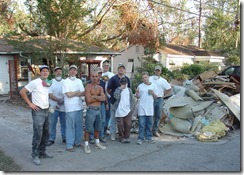 Many have worn shirts that say “Mormon Helping Hands.” They have won the love and respect of those they have assisted. Their assistance has gone not only to members of the Church in trouble, but to great numbers of those concerning whom no religious affiliation has been made. 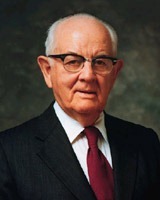 “They have followed the pattern of the Nephites as recorded in the book of Alma: “They did not send away any who were naked, or that were hungry, or that were athirst, or that were sick, or that had not been nourished; and they did not set their hearts upon riches; therefore they were liberal to all, both old and young, both bond and free, both male and female, whether out of the church or in the church, having no respect to persons as to those who stood in need” (Alma 1:30). I heard this talk of Presidents Hinckley’s live from that storm battered LDS Church building in Waveland Mississippi. The walls and carpet of that building had been ripped out, but there was still a roof over head so it was serving as a sort-of rescue and relief headquarters, with tons of tools, supplies and willing helpers. I remember sitting in these circumstances, in filthy clothing from a hard days work, with dozens of other brothers and sisters, huddled around a little television set in that gutted building. I remember the sense of pride, and accomplishment, and joy in having helped others. In some respects, of course, it was a sacrifice to go there, but the rewards of serving others far outweighed that in my mind. Here is some good mission prep counsel from Russell T. Osguthorpe, Sunday School General President. 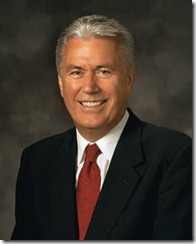 This is an excerpt from his October 2009 General Conference talk, Teaching Helps Save Lives. “Whatever doctrine he was teaching, he would ask us to stretch ourselves, to reach a little higher than we thought was possible. The arrow and those two words, aim high, were a constant invitation throughout the lesson. Brother Peterson made me want to serve a good mission, to do better in school, to set my sights higher for my career. “Brother Peterson had a work for us to do. His goal was to help us “think about, feel about, and then do something about living gospel principles.” His teaching helped save my life. “At the age of 19, I was called to serve a mission in Tahiti, where I had to learn two foreign languages—French and Tahitian. Early in my mission, I became very discouraged at my lack of progress in either language. Every time I tried to speak French, people responded in Tahitian. When I tried to speak Tahitian, they answered in French. I was on the verge of giving up. “Then one day, as I was walking past the laundry room at the mission home, I heard a voice calling me. I turned around and saw a gray-haired Tahitian woman standing in the doorway motioning for me to come back. Her name was Tuputeata Moo. She spoke only Tahitian. And I spoke only English. I missed much of what she was trying to tell me, but I did understand that she wanted me to return to the laundry room every day so she could help me learn Tahitian. “I stopped by daily to practice with her while she ironed clothes. At first I wondered if our meetings would be of any help, but gradually I began to understand her. Each time we met, she communicated to me her complete confidence that I could learn both languages.